I am attempting to arrange an appointment at British Consulate Bangkok in March 2019 to obtain the necessary Affirmation of Freedom to Marry but I have found that there are no available days, save a couple of days which are not convenient for me. I sent an email to them and received a very unhelpful reply. I wonder if those of you who are in Thailand know what might be the reason that everyday is shown as 'unavailable'. I am in UK. Perhaps they have too many golf days - LOL!!! You are not the first person to complain about. From what I have read in posts about it you just have to keep checking to see if any days open up if somebody cancels their appointment. 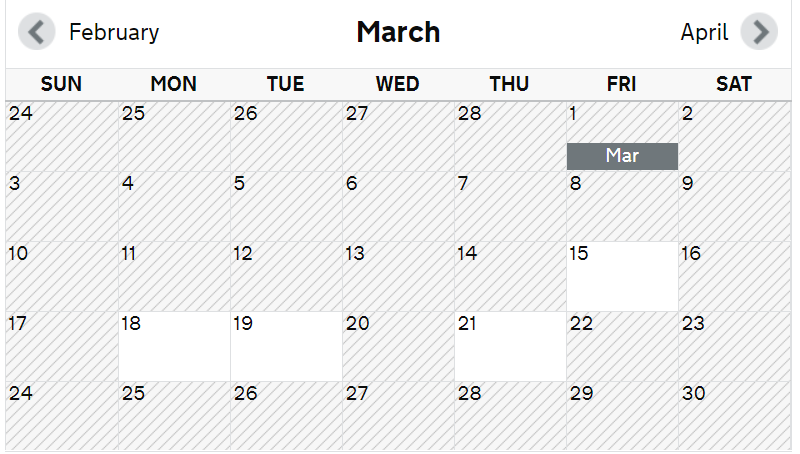 I just looked and there a some for March 15th and the week after. Thank you ubonjoe. Regrettably despite 15,18,19th showing as available, the message that it is not possible to make an appointment on those days comes up. I tried it today, the 20th, so it is not working. Very much like the Consulate itself!! I suggest you keep checking those days. Perhaps they have not released the appointments for those days. Very much like the Consulate itself!! Your frustrating experience is IMHO all the more inexcusable given that the staff members who were responsible for processing income confirmation letters prior to the Embassy withdrawing this service are, presumably, still sitting around with nothing to do these days other than twiddling their thumbs! Might be worthwhile looking at an agent to do it for you, they can by-pass these inconveniences, naturally it will cost, but worth checking! OP.... If I recall correctly the BE appointment system diary only shows the next 2 months appointment availability. So for today 21/01/19 the diary will only show appointments that are available up to the 21/3/19 and as you have found most of these have already been taken. It seems that a lot of people still want the Embassies services. You should find that if you try again (normally at the beginning of the week) they will open up that equivalent week 2 months ahead. Just to put a little perspective on things. The British Embassy in Bangkok is the busiest British Embassy on the planet. They don't have time to "twiddle their thumbs" as so many people here seem to think. As far as appointments go, if there are none available, it's because they have already been booked by someone else. All you can do is keep checking for any cancellations or wait for new slots to be made available. As far as agents go, they can't get appointments that aren't available to you, so can't bypass anything. They can fill in all your paperwork for you, but be aware that if they do it wrong (and a lot do) you will have to redo it all when you're there. I think your incorrect with your statement about the Bangkok British embassy being the busiest, according to the documentary i saw recently that honour went to the BE in India. The British Embassy in Bangkok is the busiest British Embassy on the planet. Kindly provide a link to support this assertion. Or have you based it on bar gossip? Long trip but if you are desperate you could always check with the consulate in Chiang Mai. I’m off there tomorrow - booked the appointment more than 3 weeks ago as the first one available, and I think I was lucky to get that. As ubonjoe says, just keep looking. By the way, I tried the agents who were hanging around outside the embassy to see if they could get a quicker appointment, but they use the same system as the rest of us. The appointments are normally released on a Monday or Tuesday for the next 6 weeks or so. As most members say, you do have to keep checking. One would think that the recent sale of Embassy grounds, the outsourcing of passport issue and the extortionate fees they charge for the verification of documents by junior non-British staff would allow them to increase staffing levels to meet the demand they are facing! Fat chance! The name Civil Service implies serving the citizens. Any organization facing on-going regular criticism for being unable to meet customer i.e. citizens' expectations would do something about it. Increase the amount of appointments, more staff, longer working hours, better use of IT etc etc. But no. Not even an attempt to design the operation to actually serve the market needs. Pathetic, as with most things connected with the self serving governments of today.